Your host will share insider knowledge, secrets, tips and tricks of the trade that will enable you to create and learn about the art of candle making. Take away oodles of inspiration, pick our brains and discover all you need to know about all things candles. Arrive to served Fizz and Nibbles. Next sit back, relax and learn about wax, wicks, fragrancing and burning your candle correctly. Finally get to work making your very own soy scented candles to take away with you in this unqiue candle workshop. Workshops are roughly 2 hours long. Take away with you two container candles made with dried flowers and a wealth of knowledge on your new candle making skill. 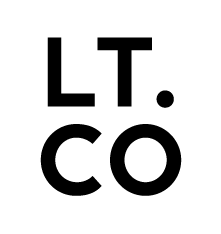 Come and make candles with Laura Thomas and her Team and automatically get 20% OFF any LT products in the LT workshop on the night. Meet new people, learn something crafty and take your own hand poured candles home with you to burn. A must do if you love scented candles and craft!